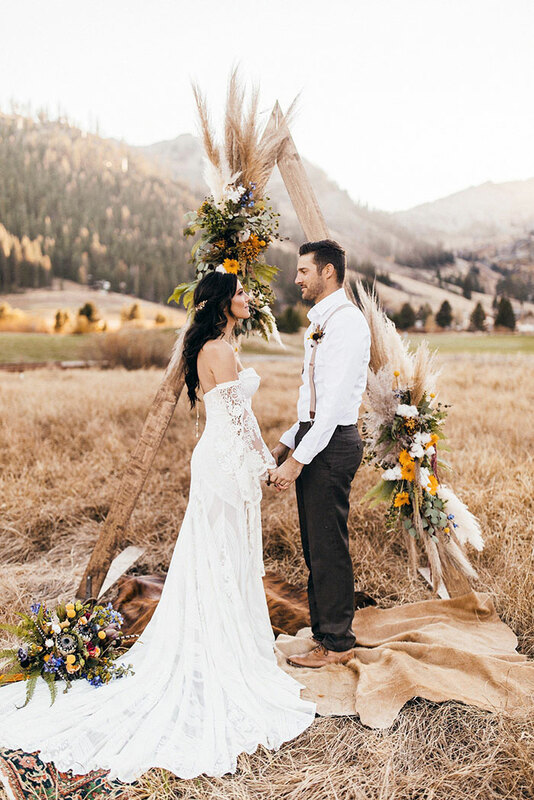 There is no doubt that former Bachelorette Becca Kufrin is going to make a beautiful bride and, thanks to this stunning inspiration shoot from Forget Me Knot Events & Design and Kay Kroshus Photography, we get a sneak peek! 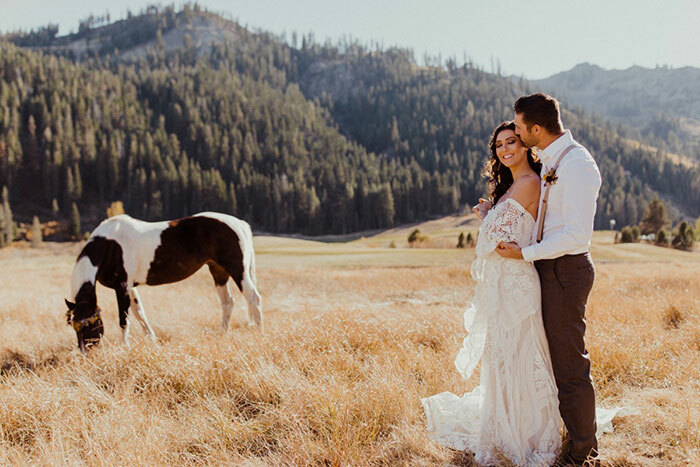 The adventurous wedding style could not be more perfect for a couple that fell in love while traveling around the world, and this stunning shoot in Squaw Valley, CA, is the perfect way to capture their style! 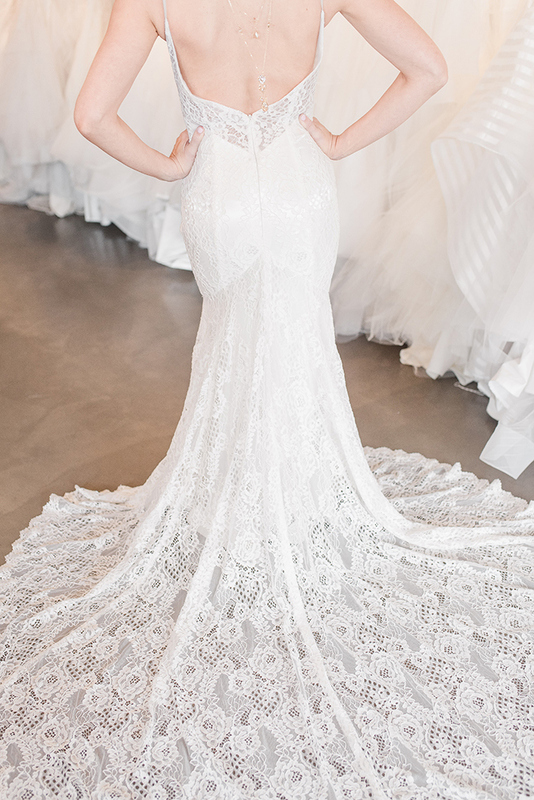 We love how Haute Bride retailer Swoon Bridal styled Becca in an off the shoulder Rue de Seine wedding dress with flowing bell sleeves - and our Swarovski crystal accessories as the perfect final touch! She wore one of our gorgeous circlet headpieces with jewel embellished leaves to add a glamorous accent to her partial updo, while our crystal prism lariat added sparkle with pendant drops in the front and back of the wedding dress! We are so thrilled to be a part of this (possible) preview of their wedding day! See more on Wedding Chicks!